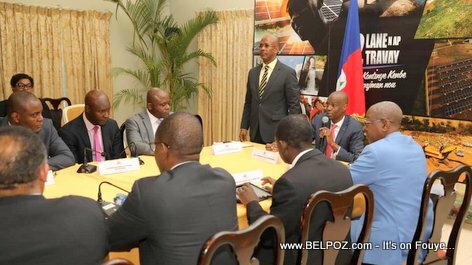 Haitian President Jovenel Moise proceeded to the installation of Interim Prime Minister Jean Michel LapinThursday, March 21, 2019. PM Lapin replaces Jean Henry Ceant who received a vote of no confidence from Haiti's lower house of government, the chamber of Deputes. Prime Minister lapin said this is no time for speeches, there's a lot of work to be done and it the responsibility of the government to provide services to the people. he asks the ministres to assist him in getting some work done for the little time that he is Interim prime minister.